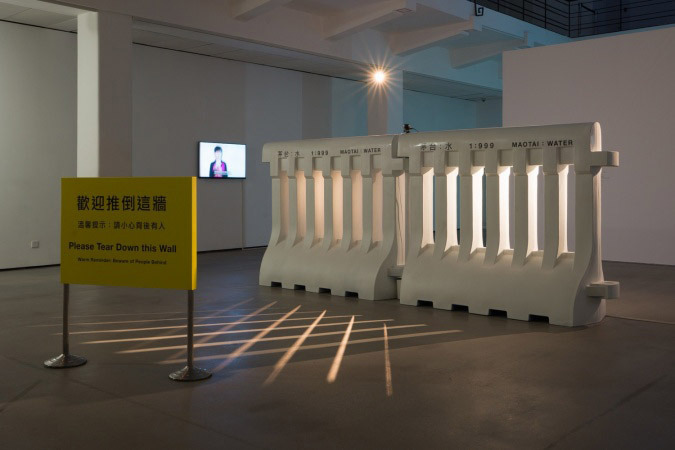 Christopher Schreck: You were recently awarded the Hugo Boss Asia Art Award. Considering that a number of your past projects have critiqued such prizes and the celebrity that comes with winning them - I’m thinking here of works like "For All the Artists Who Want A Prize," or the earlier pieces that involved overt self-branding, phony CVs, premature retrospectives, and so on – I’d be curious to hear how it’s affected your practice thus far. Has your perspective changed at all? Kwan Sheung Chi: In the short term, I just have to do a large amount of interviews. That's quite disturbing sometimes, because the results have often not been very satisfying. KSC: I worry that the more my work is exposed to the public, the more it’s being misunderstood. My actual experience with Hugo Boss and the Rockbund Art Museum wasn’t bad - I didn't feel uncomfortable about working with them at all. But I don't think I earned the award because what I've been doing recently is particularly good. I've been doing what I’ve wanted to do throughout my career, and that hasn’t changed. It’s just the way that people now look at me and my work that’s different. My hope is that winning the award doesn’t alter my practice, or affect it in the wrong way. I am getting quite a lot more attention compared to before, with more invitations to do shows, but really, I don't want to be known as the winner of the Hugo Boss Asia prize. I just don't think that’s a good way of judging a person. CS: That’s reasonable. At the same time, I felt that your winning the award was interesting, even encouraging, given the fact that of all the nominees, your work seemed to be the most aggressively political. Were you at all surprised at having been chosen? KSC: Somewhat. I'm not sure whether I was the most political artist there – I’m still not so familiar with the work being made in Mainland China. But I did have several pieces of work censored by the Shanghai Cultural Bureau, so even before the show opened, I was prepared for the worst. But in the end, other works of mine were allowed to stay in the museum, and so I was able to win the prize. CS: I’ve read a bit about that incident. I’d be interested to hear not only about the nature of the censored works, but also your reaction to that experience, and whether it affected your desire to participate in the exhibition. I felt very disappointed by this, mainly about the lack of freedom in China and how it affects the artists living there. It's very bad for art to have so many things it cannot touch upon, and it’s even worse to think that artists might censor themselves just to avoid such trouble. But even when that happened, I didn't want to withdraw from the exhibition – I wanted to react to it instead. That’s really what my practice is about: reacting and responding to these situations. Even if I cannot exhibit a single work, I can still make a statement and let the public become aware of it. So I made some new works instead, which were still political, but in a different way. For example, I thought, if the country won't allow us to talk openly about politics, maybe it will allow us to talk about money? So I made a video entitled ONE MILLION, which shows my hands counting bank notes until it reach one million. I also made two very minimal works. One is a completely dark video, where I went to the museum at night and shot at the location where my original proposed work would have been installed. The other is a stack of white paper for the visitor to take away. The dimensions of the paper are 89 x 64cm, although the museum converted that measurement to inches when they submitted it. I think many of my previous works are quite minimal, where I’d tried to reduce them only to what needed to remain, but with these works, the minimalist style is actually carrying a political message. CS:The other piece you included in the exhibition was Water Barrier (Maotai-Water, 1:999). I wanted to ask you about your intentions with that work – particularly the decision to invite museum-goers to topple the piece mid-way through the exhibition. KSC: The water barrier was actually in my original proposal, but because it was a new production, the museum submitted the information without photographs or detailed information. This is probably why it was able to get through. As for asking the audience to topple the piece, there are several reasons. First, I couldn't do it on my own, as is shown in a video installed next to the work documenting my attempts to do it. That was important, because I didn't want to show the artist as a hero or anyone special. I showed instead that I was not capable of doing it alone, that we needed to combine people's efforts in order to accomplish it. Secondly, the 1:999 ratio of Maotai to water represents a social structure that includes both the powerful and the common people. The museum’s visitors are naturally part of that system. So the idea was that in order to change the system, the structure must be toppled, but also that the common people would have to involve themselves. I think it's a very different experience for the visitor, that the exhibits can be touched and even destroyed. Of course, the museum is a very safe place, but I was trying to move those limits, to arouse the imagination as to what can be done there. Ideally, this could then be applied to real world politics. CS: Many of your works, especially in the past few years, have focused on addressing local concerns, whether they be political, socio-economic, or purely artistic. As you continue to gain more widespread recognition, though, I wonder if and how the work might change to reflect a broader audience? Is that a concern of yours? KSC: It is, and I expect it to be a big challenge, but I believe that if art is to make an argument, it has to be very specific about what it’s really addressing. Of course, this can make the work difficult to present in other social contexts, and it becomes harder to appeal to audiences with different cultural backgrounds. But it is also a way of demonstrating the situation to outsiders. It takes a bit more time, maybe, but I do find that different people in the world are often facing very similar problems, so it's actually not that difficult for people to exchange these ideas. Sometimes I feel that artists around the world are very similar, but we are all living in a different time and space, all dealing with our own specific situations and problems. This is what makes us different and thus interesting to each other. So I realized that being so specific was maybe an obstacle to my career in the very early stages, but I needed do what I believe, and now maybe the only necessary adjustment for this audience is to make my works even stronger. CS You’re currently at work on a new project that will debut in Hong Kong this coming February. Without spoiling any surprises, can you discuss what you have in mind for that work? KSC: I'm still working on the ideas for that work, reading a lot of materials, but my focus is again on local politics. I'm very interested in learning about this secret/underground political party that has developed in Hong Kong recently. When I read more about it, I feel that it has had a very big impact on the local politics, and I’m interested in how it's still affecting everyday life here. One thing I’ve discovered that interests me a lot is that the underground political activities often use art and cultural activities as a cover-up. There have been a number of amateur art organizations that may have had political activities and influence inside them. 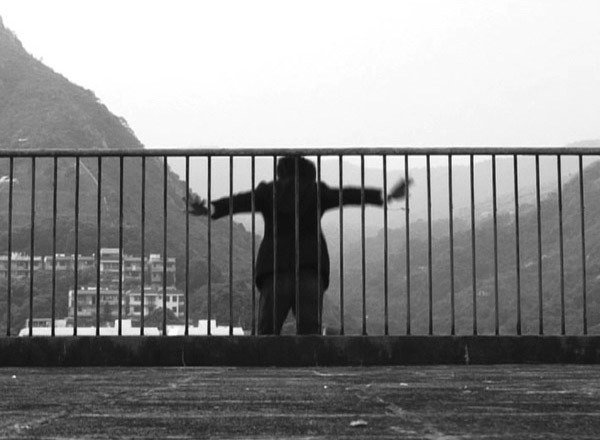 It makes me wonder if this underground party has already penetrated any of the existing art groups and organizations in Hong Kong – and if not, why not? Is it because art is not an effective means of reaching the people and spreading ideology? What then would be the meaning of art? These are my thoughts on this now, but I'm not sure about how far or wide the project will reach with it, as there is a lot still to explore. CS: You also have something coming up in Tokyo, right? KSC: Yes, I'm going to be doing a project at Art Fair Tokyo in March. It will be a collaboration with my wife, Wong Wai Yin. We’ve done a few collaborations before, and although it is very difficult for two artists to work together, I like the work we’ve done very much. CS: I wanted to ask you about that dynamic, actually. I was curious as to how you feel your individual approaches differ, and whether you think of the collaborative works as being at all separate from your own work. KSC: I don't really think they are different or separate from my own work. We’ve tried very hard to form ideas and make decisions that both of us agree on and are committed to. Of course, the process is very different from working on my own projects. Although we are very close and understand each other very well, we are still individuals, and it takes a lot of time to speak about the ideas, to address all possibilities and concerns. But we respect each other as the co-authors of the work. We would not do a work if either of us didn’t believe in it. CS: Judging from the show you two had at GalleryEXIT, the major difference between you seems to be that while she defines art by its lack of function, you believe that art can have a tangible effect on the broader culture. KSC: I think art functions just as any other thing functions in the world. I think it's unrealistic, maybe even stupid, to assume that art can have a direct influence on things, although it can happen sometimes. I understand and always remind myself of these limitations of art, but I still have a lot of questions about what it can achieve - particularly in my own work, as I try to mix art with everyday life. Of course, it's very easy to claim everything, each social action, as art. But doing this doesn't necessarily mean that it’s good. Going back to the Hugo Boss prize: I don't think I won it just by having the most political work - it's easy to be political or have political elements. What I think is more important with art is how we incorporate new ideas into people’s minds and provide alternative ways of thinking. So I'm still very much learning and experimenting with what art can and cannot do.